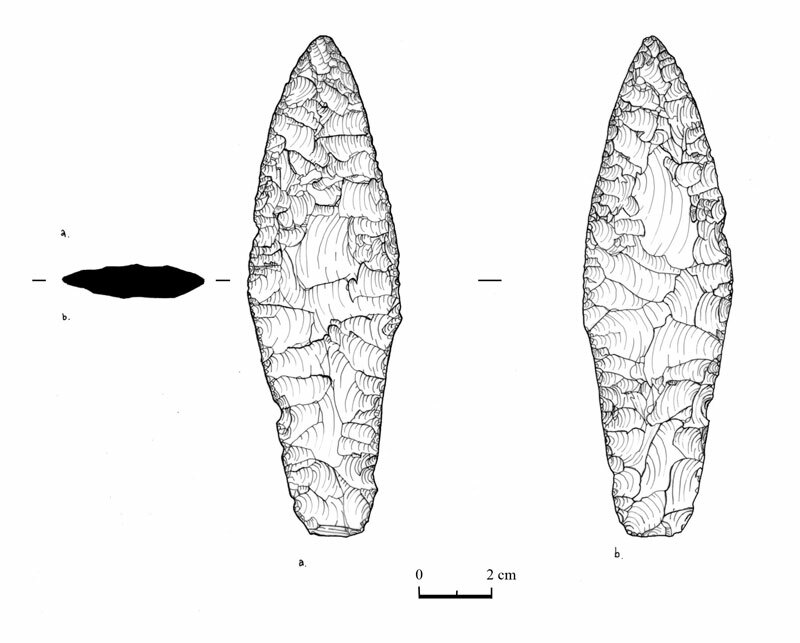 A rare and magnificent Bronze Age Flint Dagger was found 2004 in an extension to Trench 26, located at the boundary between the sub soil and the natural boulder clay. 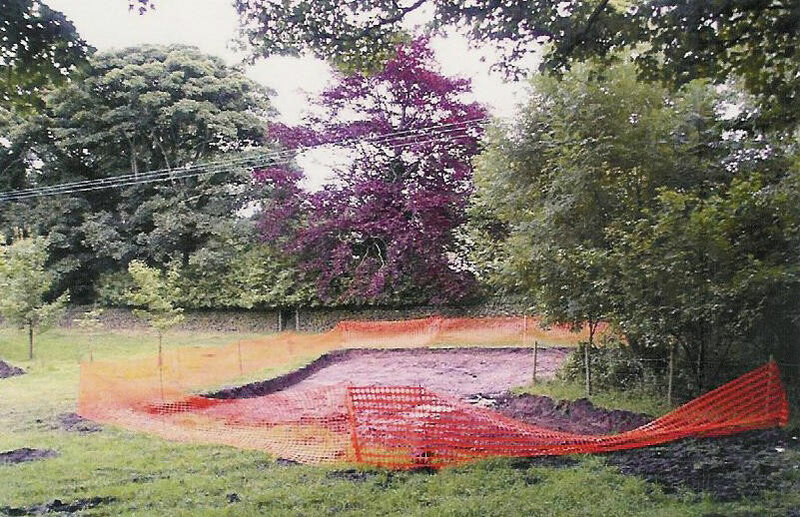 The trench was protected and reopened in the 2005 Season but unfortunately no futher associated archaeology was found and did not appear to be associated with any natural feature. It seems most likely therefore, that like the Neolithic Stone Chisel, it may have been buried here for a ritual purpose. It is described as: "A brown/red translucent flint, triangular in profile,wiighing 63.8gm, 14cm by 4.5cm, averaging 0.7cm in thickness. The blade has been shaped by careful, intensive, overlapping, thinning retouch on both faces for much of the blade surface. The haft has been shaped by less intensive working than the blade "
The origin of the flint itself is uncertain, but may possibly be from a boulder clay deposit in the Lancashire/Cheshire/ Merseyside area. 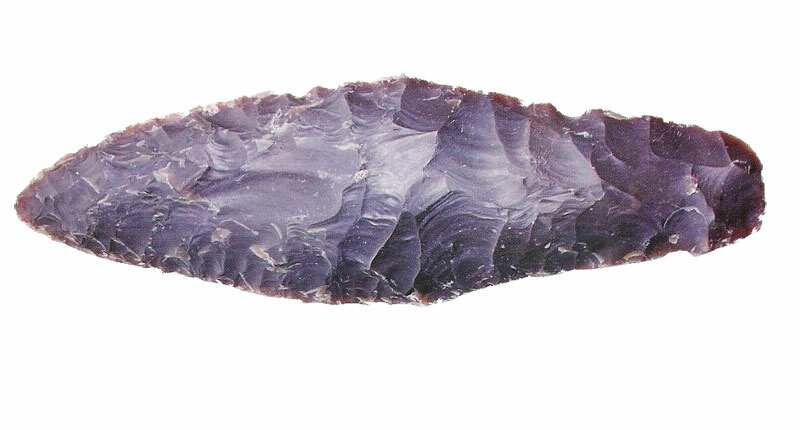 Typologically the Dagger belongs to the Early Bronze Age, from around 2350-1500BC. It is considered to be a relatively rare form of artefact traditionally associated with the appearance of Beaker pottery in Britain. 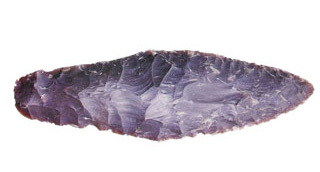 The Peak District has only a few examples of these daggers, mainly from Burial Mounds excavated in antiquarian times.